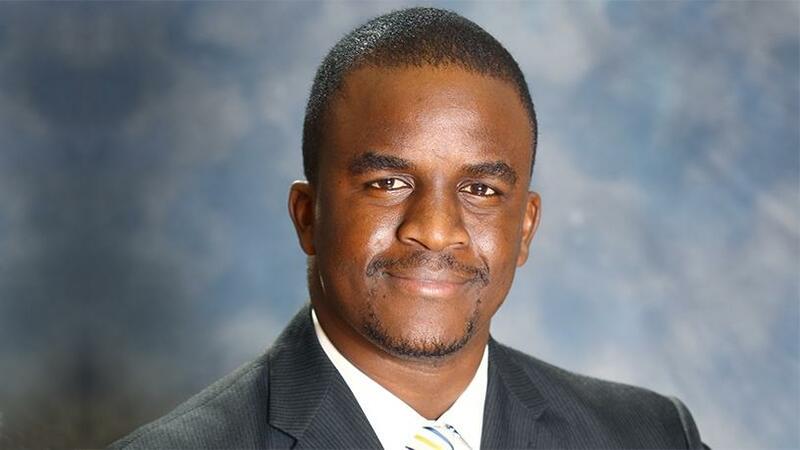 Kuda Takura, brand and marketing manager for Ford Credit SA and smart services lead. People don't base their decision to buy a car on what technology it incorporates, says Ford SA. People buy cars, at least in SA, for the affordable price or because of the status driving it gives the driver. However, technology is becoming more prevalent in cars and incremental changes are moving the motor industry towards the illusive self-driving car. Autonomous features are available in high-end cars on the road today, and smart mobility company Ford says it is working on bringing those features to entry-level vehicles. "South Africans love nothing better than a really good deal on a car. Our best performing segment is known as Sub B, which is your small hatches, small cars; the Figo is an example," says Kuda Takura, brand and marketing manager for Ford Credit SA and smart services lead. "And people's intention to purchase is not driven by technology. It is rather driven by if the buyer can afford it and if the car is efficient on fuel, what it's like to maintain and what am I likely to pay for insurance. That accounts for on average 12% of all vehicles sold annually. "As you go up through the segments, the share gets smaller, because the larger populace are looking at the value proposition. And there is no marriage that marries value and technology. "However, as we create these technologies and put them in higher-end cars, they get cheaper to implement and install." He says, for example, 10 years ago, having airbags in a Sub B car was unheard of, and now every new car is expected to have them. "So the hope in time is that some of these other technologies, such as the sensors, will also become cheaper the more they are used on premium vehicles, and cascade down. And we are seeing that already." In October 2016, president and CEO of Ford Motor Company Mark Fields announced the company intended to produce high-volume fully-autonomous vehicles by 2021. He said the next decade will be defined by the automation of vehicles and it's likely to have as big an impact on society as Ford's moving assembly line did 100 years ago. 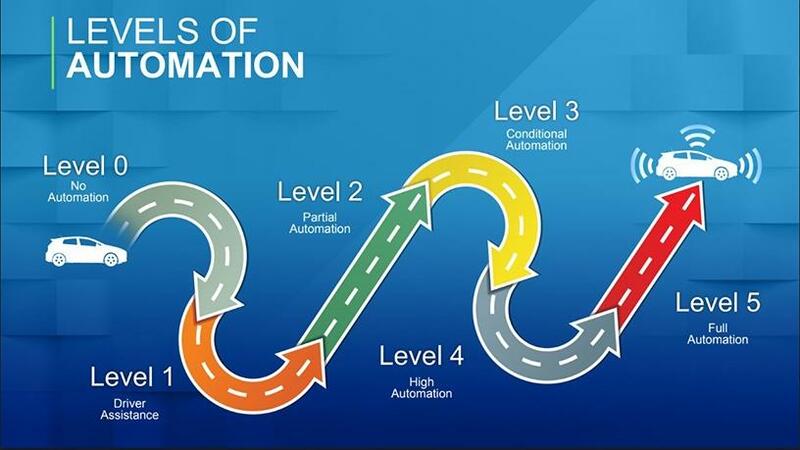 Ford says there are five levels to complete automation in cars, and some vehicles today are on level two and three. Ford is taking the step-by-step approach and has already incorporated some of the technology it will use in mainstream autonomous cars, into its current line-up. Ford says it will have its autonomous cars on the roads within the next five years. Research firm Berg Insight points out autonomous cars are not a single innovation but rather a continuum of various levels of autonomy where the amount of driver involvement is the main differentiating factor. This includes features such as adaptive cruise control to manage speed by sensing the vehicles ahead, active park assist, lane-keep assist to keep drivers from drifting across lanes, as well as pre-collision assist with head-up display which detects a potential collision and automatically applies the brakes if the driver does not respond to warnings. The company says systems like this are the building blocks of its fully autonomous car. Ford talks about the five levels of an autonomous car, where level five is the absolute pinnacle which no one has reached yet. Takura says this is Ford's way of explaining autonomy in cars. "There are very few industry phrases for this, in car world tech right now, which speaks to the infancy of the technology and this desire to create a separation from competition. "For example, Tesla has a feature called Autopilot, which to Ford we would call level three autonomy, and what we refer to in specific product speak as Adaptive Cruise Control, which utilises radar sensors, stereo cameras that are looking forward and to the sides and make judgements and calls such as when to accelerate and what distance to keep between cars." This is available in the Kuga, Everest and Ranger Ford models. Takura says at the moment, Ford SA offers a mixture of level one and level two. The first level three Ford cars will be released in SA next year with the new Focus. One of the key features in the upcoming Focus will be Traffic Jam Assist, which will allow the driver to sit in traffic, and do whatever they want because the car in traffic up to 60km/h will take care of acceleration, braking, steering and staying in lane. "This feature is just the tip of level three, which still leaves you two levels out. But level five is not something we as a company see as something we need to rush towards," says Takura. "The key reason behind this is because there are a lot of market issues that need to be worked out first, such as regulatory framework, liability and insurance." He says locally it has been flagged but no official boards have been created to work out the issues. There is also still an acceptance issue where people won't trust their car to drive by itself, he says. "As things stand right now, even when Ford unveils this fully autonomous vehicle, no one should expect that SA will be getting the car six to eight months after, as is the case with other models. "I wouldn't expect that same reality, because we are markedly behind, not only on societal integration, regulatory frameworks and the like, but the industry in itself is just not ready locally." He says the South African reality does complicate how cars with autonomous features work here. He gave an example of driving his car, a Ford Everest, with Adaptive Cruise Control turned on, which has been programmed to follow guidelines that require the vehicle to leave a certain size gap between it and the car in front. "South African drivers will see this gap and pull into it." He explains that the system will then panic, brake and aggressively pull back to reinstate the applicable gap. He says there is a degree to which the driver can tell the car what to do, but the driver cannot override controls which the car deems to be safe. Takura guesses that about 60% of drivers who drive cars with autonomous features don't realise they have them. "Mostly because they are part of a profile of buyer who buys because they desire the looks of that car or status that car may give. As a result, that vehicle has that technology bundled in but is underutilised."